Map showing location of Illinois on the US map. As shown in the Illinois location map that Illinois is located in the central-north part of the US. Illinois state US is world famous because of its city Chicago; it has one of the busiest airports of the world. However, the state is surrounded with some of the most industrialized states of the US. In addition, the Illinois state US is full of natural resources including coal, petroleum, and timber. The state has also large percentage of fertile land. Above all, it is a transportation hub of the US. Admitted as the 21st state of the US, Illinois shares its boundary with Wisconsin in the north, Iowa in the west, Missouri in the south west, Kentucky in the south and south-east, and Indiana in the east. However, as you can see on the given map of Illinois state that the small north-east portion of the state makes coastline with Lake Michigan. With the humid continental type of climate, the state has many features that make it significant such as Ronald Regan one of the American Presidents was the native of this state, some of the other Presidents of the US elected as President while they were living in Illinois including, Abraham Lincoln, Ulysses S. Grant, and Barack Obama. You can visualize easily on Illinois map that state has many significant cities to visit. The capital city of Illinois US is Springfield. Illinois state map comprises railways, highways, significant big and small cities. 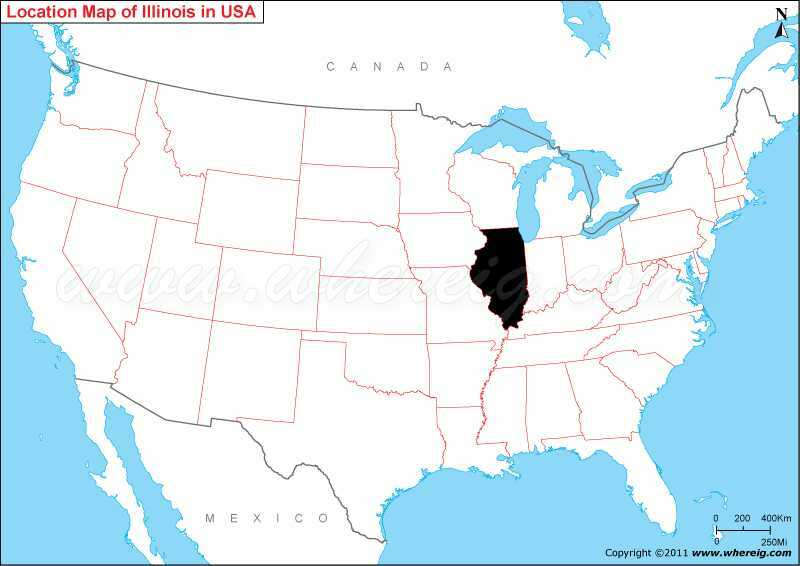 The Illinois map US is detailed enough to help you to find any place in the Illinois. The tourists, students, teachers, and even native of the US use such kind of detailed map of Illinois state US.